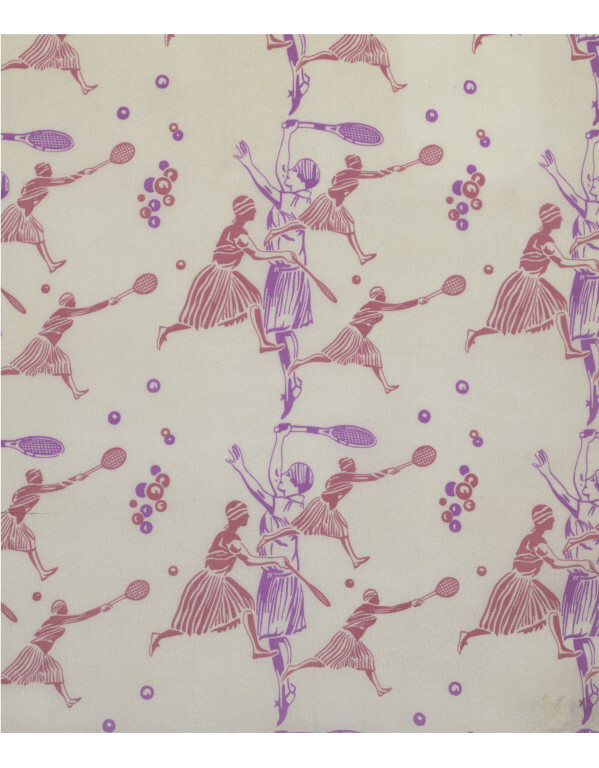 The pattern on this printed silk dress fabric is called ‘A Game of Tennis’. The designer, Helen Wills Moody, was a famous American tennis player and also an amateur artist. This pattern was part of the Americana range of dress fabrics which the Stehli Silks Corporation commissioned from several artists in 1927. The fabrics were designed specifically to depict contemporary American life and to make a change from ubiquitous floral dresses. In 1926 the highly influential International Exhibition of Decorative and Modern Industrial Arts toured the USA. Originally staged in Paris in 1925, this was the exhibition that showcased the new Art Deco style. It had an enormous impact on American designers and encouraged them to work in the modern style, as shown in this fabric. 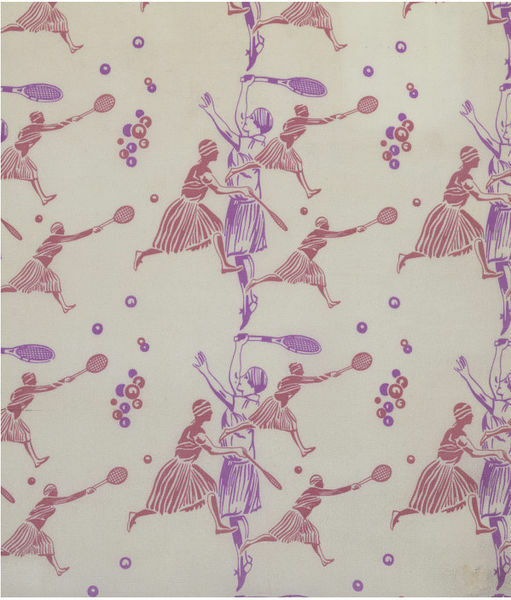 A print of women tennis players in lavender and pink on a white ground. The women wear 1920s tennis dresses and bandeaux. The style of illustration is influenced by modernist movements like Futurism, as several versions of the figure at slightly different stages of serving the ball are superimposed on eachother. 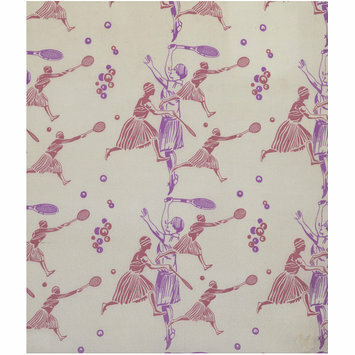 Printed silk crêpe-de-chine with tennis theme; USA; ca. 1927.